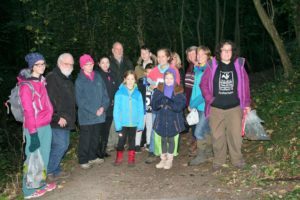 At daybreak, with the Autumn daylight just breaking through the drizzle, a group of about a dozen people met at the side of Crabtree Ponds. 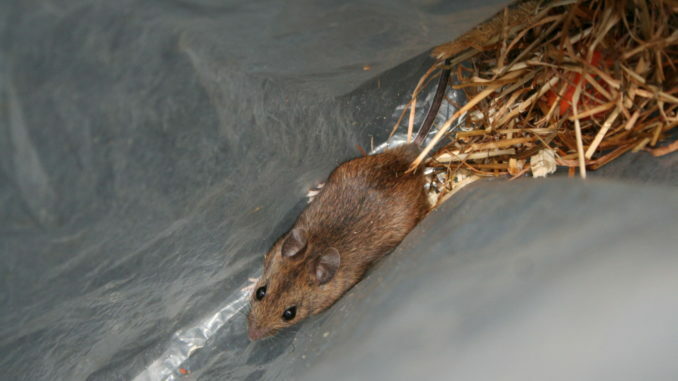 They were excited about checking a dozen non-injurious small mammal traps that had been put down on the previous day by members of the Sheffield and Rotherham Wildlife Trust. These traps contain bedding and a variety of food for the animals so they won’t be cold or hungry, before they get released the following morning. 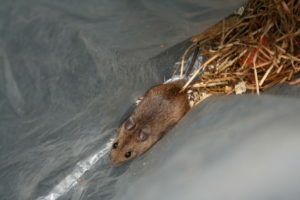 Three of the traps were found to be occupied: all by wood mice. One was an adult male and the others were juveniles. These tiny creatures were so pretty and cheeky that they won everybody’s hearts. Community Wildlife Ranger Rachel Stevenson and wildlife expert, Chris Doar led the expedition to check the traps. Rachel has been the Ranger for Crabtree Ponds for a number of years and Chris shared some of her wealth of knowledge. People at the event started comparing some local nature notes. It seems wildlife is reclaiming Burngreave! It is exciting that roe deer have been seen and left evidence of their presence on Parkwood Springs, reclaiming what used to be a deer park hundreds of years ago. There is a new colony of common lizards on Parkwood Springs too On the borders of Burngreave, after many years absence, otter have recently returned to the River Don. Some local people had made an amazing You Tube film of a young fox chasing a badger in their back garden. Several species of bats thrive around Crabtree Ponds and elsewhere in our neighbourhood. The moorhens on the pond are fairly new residents but have delighted us by raising two broods of chicks this year. It is great that so many local people are helping these animals by monitoring them, filming them and working to improve their habitat.